Spectacular is the only word to describe this truly amazing Romantic gift. 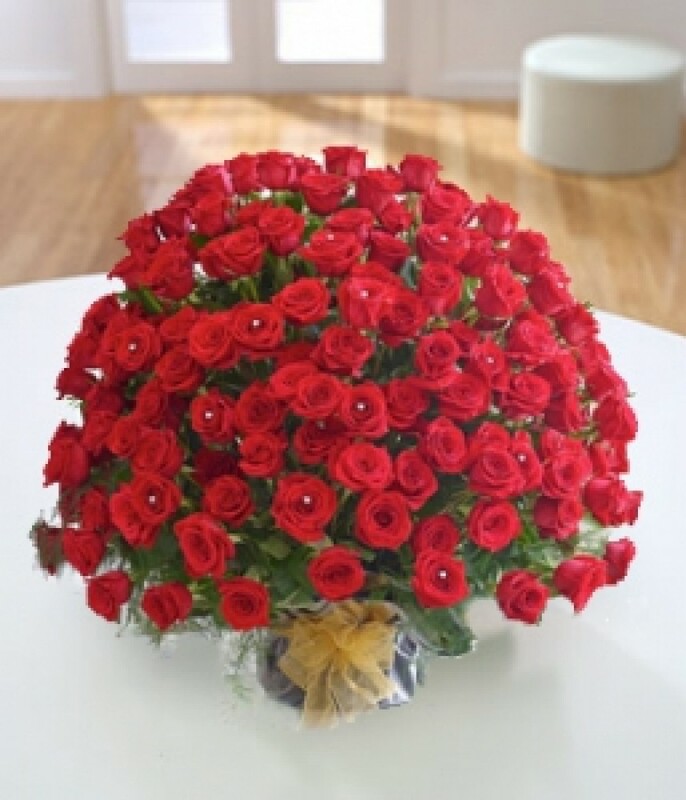 With no fewer than two hundred premium quality red Freedom roses interspersed with sparkling diamante hearts, this is the ultimate expression of love. She’ll be speechless with delight!This item requires 1 days notice to order.